The City of Miami Springs was founded as Country Club Estates in 1926 by aviation pioneer, inventor and land developer Glenn H. Curtiss. The 2.9-square-mile, triangular-shaped city grew along with aviation and became the favorite community for people employed by airlines and related businesses. 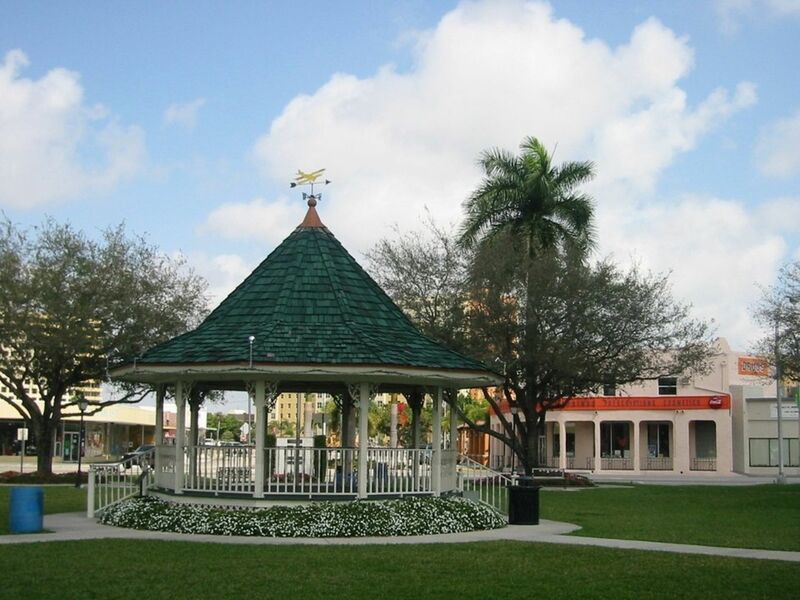 Located “in the heart of it all,” Miami Springs is bordered by Miami International Airport, the City of Hialeah, the Village of Virginia Gardens and the Town of Medley. As the City became engulfed by the growth of Miami-Dade County, it remained a desirable “bedroom community” because of its small-town flavor, great location and family-oriented civic amenities, including parks, racquetball and tennis courts, golf course, municipal pool and new community center and theater. Hometown to 14,000 residents, Miami Springs is mostly single-family dwellings and limited apartments, with a historic downtown area of professional offices, restaurants and small retail stores. Miami Springs City Hall, Police Department and Miami-Dade County Fire Rescue personnel are located at 201 Westward Dr., a few blocks from The Circle, which has been the hub of the city since inception. City government is headed by a City Manager who serves at the will of five elected officials: a Mayor and four Council Members, all of whom have an equal vote in decision-making. As chief administrative officer, the City Manager oversees approximately 125 full-time and 110 seasonal or part-time employees among eight major departments: Police, Public Works, Recreation and Golf, Finance, Zoning and Planning, Building and Code Compliance, Human Resources and Elderly Services. The City Council is assisted by the City Manager, the City Clerk, and the City Attorney, who is available on a retainer basis. Two-thirds of the workforce is employed by the Police and Public Works departments, which are considered the most important to residents in the event of emergencies, such as floods and storms. A close-knit community for generations, many city employees grew up and/or were schooled in the city. Most still live in the Springs and raise families in the area because of its child-friendly atmosphere and recreational opportunities. Public safety has always been a priority of city leaders and that has led to minimal crime statistics. Miami Springs has been certified as a Tree City USA since 1993, and was recently named a “Preserve America City” in recognition of its commitments to caring for its exceptional environment, history and quality of life.